Looking out over Teel Campus, our library serves students in grades six through twelve. It is a great place to find a book, locate a journal article, research a topic, browse the web, check out a camera, borrow a video, work with a friend, get extra help, or just read quietly. Our librarians are happy to assist anyone needing help, just ask! According to the Severn School Newsletter in Fall of 1985, Mr. Charles R. Zimmerman, class of 1925, donated over $68,000 to the school. At the time, it was the largest single contribution in Severn School history. In honor of such a generous contribution, the decision was made to name the new media center after Mr. Zimmerman. "Mr. Zimmerman was the first student to graduate from Severn's four-year program and was the first president of its Student Council. He was an outstanding athlete and captained both the football and wrestling teams during his student days. He also lettered in baseball and in 1983 was inducted into the Severn Athletic Hall of Fame. For 38 years, Mr. Zimmerman was associated with Bethlehem Steel. Upon completion of his career with that company, Mr. Zimmerman retired to Florida." Thanks to Mr. Zimmerman's generosity, generations of Severn students have enjoyed the resources of the Zimmerman Library. A member of the Severn community since 2005, Mary studied at Colgate University and Syracuse University. Mary has worked in academic libraries at the university and secondary school levels, and spent five years as a classroom teacher. 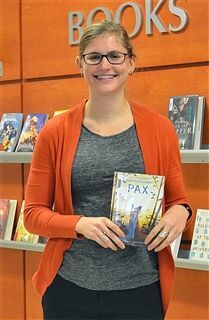 Whitney began her career as Assistant Librarian at Severn in 2009. She studied at the University of North Carolina at Chapel Hill and gained classroom experience in Durham Public Schools. Diana joined the library team in 2016. She studied American Studies and English at University of Maryland and recently completed her master's degree in Library Science.